Britain’s Prince William and his wife Kate, the Duchess of Cambridge with Prince George arrive for their visit to New Zealand at the International Airport, in Wellington, New Zealand, Monday, April 7, 2014. On Monday Prince William, giving his first interview since becoming a father, told CNN: “He’s a little bit of a rascal, I’ll put it that way. BBC royal correspondent Nicholas Witchell said the new family look “unselfconscious, relaxed and happy – much like most couples might look with their first-born baby”. Their friends are having kids. They’re getting ready to start making family-friendly renovations to their home at Kensington Palace. And their first anniversary is fast approaching on April 29. Yes, say royal insiders, Prince William and Kate have babies on the brain. From their decision to quietly “shelve” a hoped-for trip to Africa to the Palace’s recent sensitivity to speculation on the subject, veteran royal watchers say the couple is poised to start a family sooner rather than later. In particular, watching their friends become parents”does help” boost William and Kate’s decision to follow suit, a family insider tells PEOPLE in this week’s cover story. 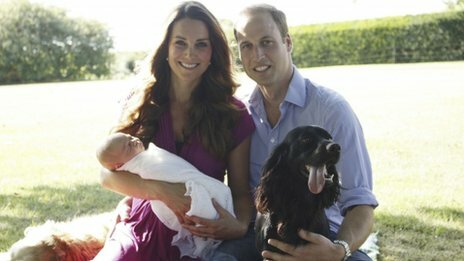 Although they are unlikely to announce a pregnancy before the Queen’s Diamond Jubilee celebration this summer, like any couple, “they will let nature and life take its course,” adds a royal source. If you missed The Royal Wedding April 29, 2011 William Duke Of Cambridge and Kate Duchess Of Cambridge, You can catch the footage/whole wedding details by clicking on the link. Today Prince William and Princess Kate Middleton became A Royal Couple, If the couple have children, they will become HEIR To The Throne before Prince Harry. If something should happen to Prince William and there are no children, the throne will go to Prince Harry… Queen Elizabeth’s husband Prince Philip is not in line because, he is married to The Queen. The throne was given to Queen Elizabeth’s late Sister Princess Margaret however, she did not want that pressure so, it was hand down to Queen Elizabeth. April 29, 2011 will go down in history, Prince William of Wales will walk down the aisle to marry Kate Middleton. Prince William is son of Prince Charles of Wales and the Late Great Beautiful Princess Diana of Wales. 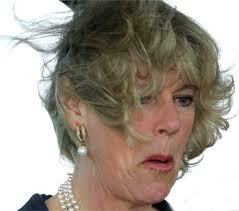 Prince Charles was having an affair with long time girlfriend Camilla Parker Bowes while married to Princess Diana. After several attempts to make her marriage work, Princess Diana found out about the affair, she moved on and tried to find love somewhere else. Princess Diana was with her boyfriend “Dodi” in Paris France when the “Paparazzi” was hounding her, the driver lost control of the car and crashed, Princess Diana was crushed in the car and later died in the hospital, when the news hit that Princess Diana of Wales had died, the whole world stopped, cried and was numb. I strongly believe if Prince Charles was not having an affair, Princess Diana would not have been in Paris at that time and would have been here to see her oldest son get married. Prince William is the Grandson of Queen Elizabeth and next in line after Prince Charles to the throne, Kate Middleton will be called Princess Kate of Wales, they met in college and fell in love. Prince Harry is said to be the best man and girlfriend Chelsy Davy will be attending. I can’t wait to see the color of the dress. I think white dresses are for virgins Right? Just checking…. Do You Think Prince William Marriage Will Be Better Than His Parents Prince Charles And The Late Princess Diana? Please Leave A Comment!!! OMG! Camilla Parker Bowes is at it again, first she was a home wrecker and came between Princess Diana and Prince Charles, now that wrecker has the audacity to say “Her Future Daughter In Law” Kate Middleton is a lovely and she welcomes her to the family. Kate Middleton IS NOT her future Daughter In Law, she is the future Daughter In Law to that cheating dog Prince Charles and The Late Beautiful PRINCESS DIANA . Prince William will be a d-mn fool to have Camilla at the wedding, I don’t know why when home wreckers break up a family the children be-friends the home wrecker, for example, when Lionel Richie cheated on Brenda, Nicole was all smile posing with the one that came between them, that was such a slap in Brenda’s face. Camilla Stop trying to steal everything that belongs to The Princess. You will NEVER be her. Prince Harry To Marry Kate Middleton? Apparently a company made a huge mistake by putting a photo of Prince Harry souvenir mugs with Kate Middleton, we all know Prince William is the one marrying Kate Middleton April 29, Unless Prince Harry is like Singer Jermaine Jackson, You know all about that Right? Right! If not just scroll down my page and read ALL about Mr. Jermaine Jackson…..